I made these crystalized ornaments yesterday with the boys…and even though it’s totally unrelated to sewing I thought it was worth a share because they are so.dang.cool. Perfect craft for my science loving kids. I still need to make Sophie a stocking (yes this is her 3rd Christmas!) so tonight I’m going to hunker down and make one. Her only request was pink…red’s a dark shade of pink right? Right. The stocking tutorial is here and now I’m glad I made it because I never ever would have remembered how. Also on my making list are reader pillows for my kids backed in fleece (the one below is from Growing Up Modern). I love these that Kathy made. My list of to-makes keeps getting longer…and then I get distracted and stay up way too late making crystalized ornaments out of pipe cleaners. ;) What’s your favorite homemade quilty gift to make? What great ornaments. I usually make snow globes out of old jars, water, glycerin, lots of glitter, etc. The book pillows are perfect. Putting them on my list. I can't wait to see Sophie's stocking! Feeling inspired. Time to start next year's make list, both the ornaments and the pillows will be on it. Thanks for sharing your projects. Those reading pillows sound like a great idea! 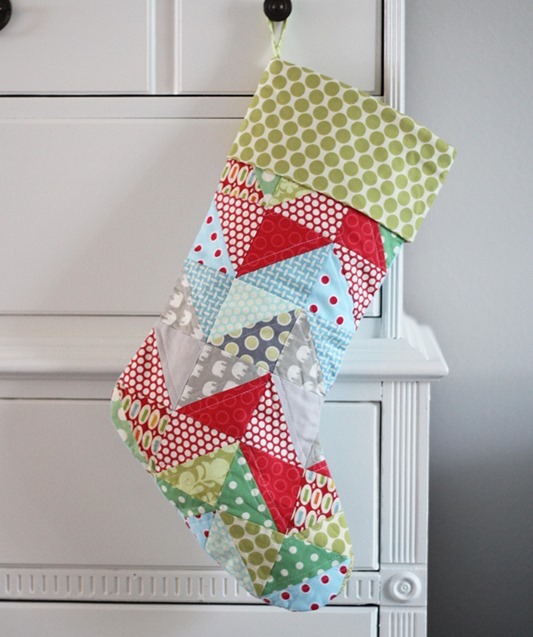 And the stocking is beautiful – will check out the tutorial. Cute ornaments! I know all about getting distracted with other projects. Love the pillows and the stocking you made. Ha ha! I sometimes have to go back to my own tutorials to remember how I made something too! 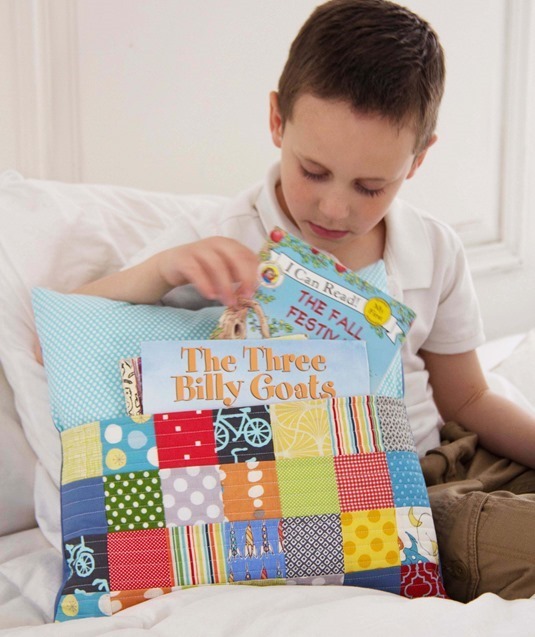 Love, Love, Love, those book pillows! I have never seen anything like it. Thank you for the stocking pattern. I don't do much with Christmas, since the children left home, but I'd like to make one for my hubby and myself. Thank you! My favorite Quilty thing to make: a quilt! That's almost the only thins I do make. Somehow I can't get my act together to sew anything else, but I do knit socks and scarves – again, I'm stuck on those two items, and don't really knit anything else. But good for you, the ornaments are way cool! Totally inspired by the book pillows! They will definitely be on my 2015 'to make' list! Such fab decorations! thanks for the recipe ~ I just happened to have borax ~ just need the pipe cleaners! And that pillow with the pocket ~ so clever! Allison, you put in such funny personal asides – I used to stay up late and get so much more done than I did during the day ! The decorations are wonderful. My youngest daughter is a 3rd yr chemistry major at university but I'll bet she'll want to make them with me. I have your book and thank-you for reminding me about the book pillows, my neighbor just had another granddaughter on the weekend. Oh, I LOVE those ornaments!!! My son is having his 3 boy cousins over for a sleepover this weekend, I think we just might have to make some of these! Great ornaments, how fun to make with the kids. And that reader pillow is brilliant! Those ornaments are awesome! Definitely have to try those. Love the pillow too – my great nephew might need one of those. So far I've made lots of key fobs for my bee friends, a batch of caramels and I'm working on a wool tree skirt which I really better finish up soon! Thanks for sharing the links to the awesome ornament tutorial. It's been my goal all year to make stockings, but haven't yet. Wonder if I can squeeze it in still? 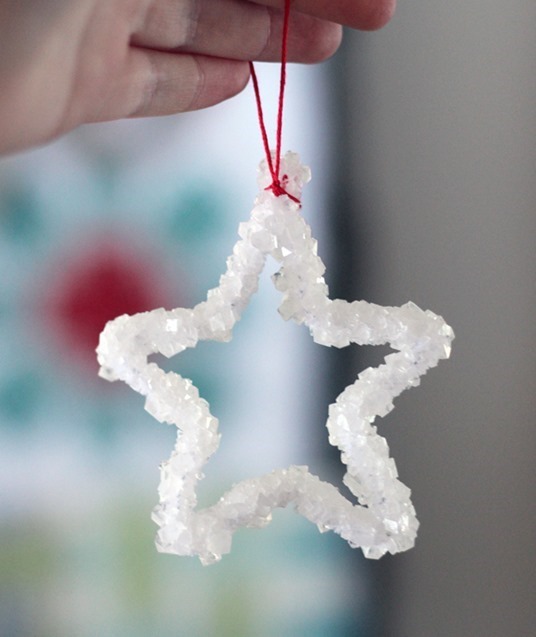 I love the idea of these crystal ornaments! I'll try them definitely next Christmas, this year I'm not home for Christmas and in a different country, so no luck there… thanks for sharing! These are so cute. Maybe I will have to try them with my kiddos. But I've really appreciated your stocking tutorial this season. Already made 6 stockings, and used your method, because it's brilliant! I just love your blog. It's simple, uncluttered, and lovely pictures. Thank you for both ideas! I'm planning on using them both!! Love those – unfortunately it's pretty much impossible to buy borax in france (mail order only and last time the postage cost more than the product) Do you know of anything that could work as a substitute? Love Love all your cute ideas! 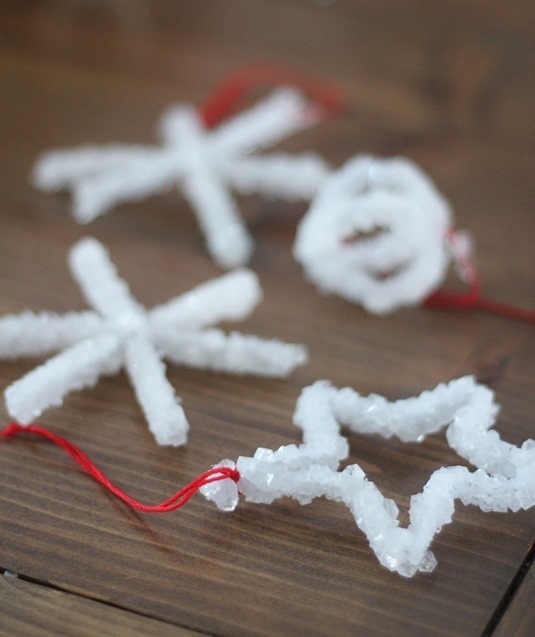 Gotta make the ice crystals when my grandsons spend the weekend soon – they'll love it! Gee, I need more time, but hope to do your cute book pillows too! Soooo glad you shared these ideas with us! Thank you and Happy Holidays! Love the book pillows! Also if you have extra Borax the kids can make Gak, or slime with some Elmers white glue. Thats another fun activity. I actually just used your stocking tutorial yesterday to make a stocking for my four month old. It came out so nice, thanks!! I'm trying to make some this year, instead of buying them. I'm going to try this one. We all need more time!! Gotta be better organized next year, but somehow, I run out of time! Made these cute ornaments with my grandsons and they loved it! Read "Snowflake Bentley" – a wonderful book and even though they are 5 and 6 yrs old., they loved it! 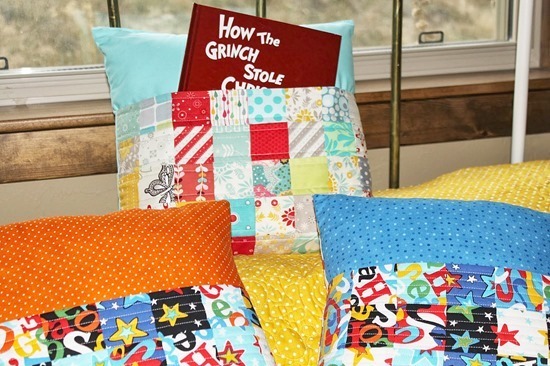 Book pillows – love them and will need to make for birthdays!! Happy Holidays! Hermoso todo lo que hace.. Me gustan los colores y las telas que usa, es una belleza. Su blog es una verdadera escuela de aprendizaje, que maravilla! Feliz Navidad feliz año 2015. Just had to pop back in and tell you my niece Audrey and I had such a good time making these ornaments together. I made a couple more spiral trees myself later cuz it was so fun. Love how twinkly they are on the tree too. Funness!!! Thanks for sharing the info. My fave present to make is giant fleece floor pillows and pajammie's for the kids. Hope your Christmas was wonderful and the New Year Healthy, Happy and Fun!! !